Steeling Cincinnati panels will be available in various configurations. 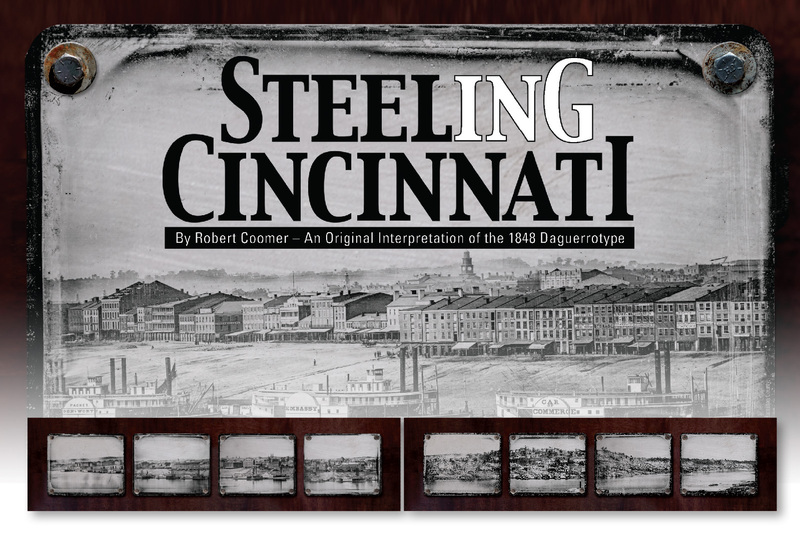 Steeling Cincinnati by Robert Coomer is an exciting artistic look at Cincinnati’s past. 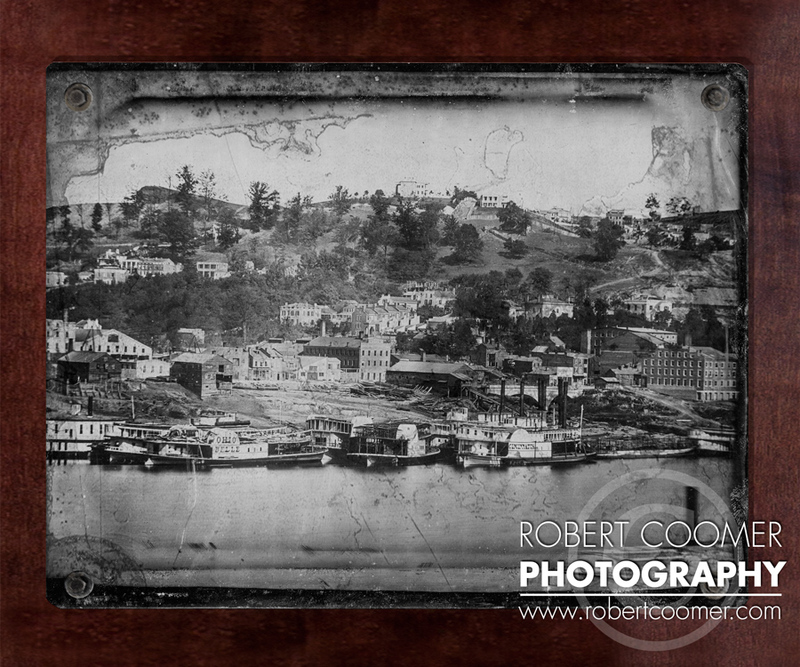 It is an original interpretation of the 1848 Cincinnati daguerreotype panorama by Charles Fontayne and William S. Porter. After almost 170 years it has been printed on distressed steel to capture the look, feel, and emotion of the original plates. This Cincinnati original is available to own direct from the artist Robert Coomer or through Row House Gallery. The goal is to build a “believable artifact” that feels like it is over 100 years old and feels true to the subject matter, as though he stepped back in time and took a piece with him, and used it to create this art. For more information, contact Robert Coomer at the form below. Before and after images, showing the original Eastman Kodak scans, and my edited steel prints showing how much of the details have been revealed, yet keeping the aged appearance.